1. 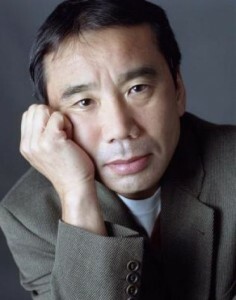 What was the name of Murakami’s real-life jazz club before he became a writer? 2. What was the name of the fictional jazz club in Murakami’s “South of the Border, West of the Sun”? Thanks to everyone who participated! We’re giving away two more pairs of tickets this week and next, so you still have a chance to win. 1. What was the name of the song that Hajime used to request and eventually asked to stop playing when his lover disappeared in South of the Border, West of the Sun? 2. What piece of music opens up Murakami’s 1Q84? If you’re a fan of famed Japanese writer Haruki Murakami, you know that there are a number of musical references throughout his body of work. As a musician and devoted Murakami aficionado, Kim has woven these references together to develop the Murakami Music Project, a series of multi-disciplinary presentations in collaboration with actress Laura Yumi Snell. Directed by Kira Simring, Artistic Director of the cell theatre, where Kim is Artist-in-Residence, the Murakami Music Project has had three performances to date, each evolving into more sophisticated tributes to both Murakami and the wide range of music found in his narratives. A combination of readings of Murakami’s works by Snell and a concert of the author’s musical references by Kim, Murakami Music is a genre-defying afternoon of literary and musical entertainment. If you know the answers this week’s trivia questions, send them to info@JapanCulture-NYC.com by midnight on Sunday, November 3. We’ll conduct a random drawing from the correct answers later that day. Two lucky winners will receive a pair of tickets each to attend the Murakami Music Project on November 10 at Symphony Space.